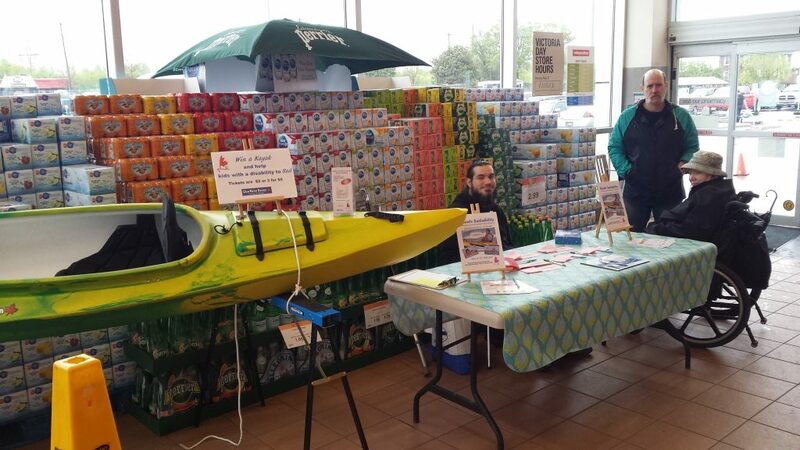 Quinte SailAbility – 2018 ClearWater Design Kayak Raffle Fundraiser!! Home \ QS News \ News \ 2018 ClearWater Design Kayak Raffle Fundraiser!! 2018 ClearWater Design Kayak Raffle Fundraiser!! Thanks to John Smylie, we were at his Independent Store in Trenton, selling raffle tickets in May AND he has also graciously let use his store again the weekend of June 29 and June 30! Drop by and say hi and have a chance at winning a ClearWater Design kayak! She is a beaut in green . Their popular Inuvik model has a large cockpit, perfect for large loads or rough water. Thanks to Clear Water for a great price they give charity raffles and thank you to Quinte Sunrise Rotary Club for sponsoring the raffle. Thank you everyone for all your support!